Bio: Felicity House recalls that as a child she could never get enough drawing material. A post-war education that gave time and status to Art encouraged and developed her visual skills. She gained her B.Ed (Hons) from Bristol University in 1972 and pursued a career teaching until 2000. 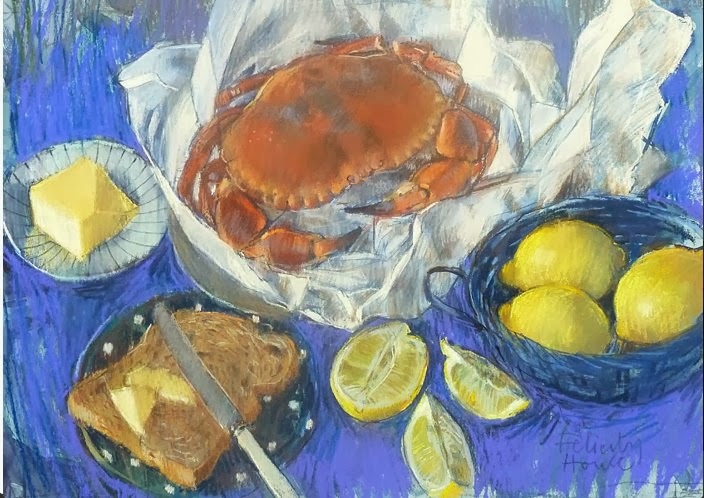 She received a HNC (Higher National Certificate) Art and Fine Art from the Arts University Bournemouth and taught there from 2000 as a tutor of life drawing and short art courses. She also became the Art Tutor for West Dean College from 2005 – 2012. This flexibility gave her the opportunity to travel and fill numerous sketchbooks. Felicity was elected a Member of the Pastel Society in 2003. As Archivist for the Society she regularly research the archives for information in response to requests from the public. She has also contributed to numerous art magazines, including the Pastel Journal (October 2009); the Artist magazine (2009, 2010, 2012, 2013 – when she was interviewed by Ken Gofton, a frequent contributor to the Pastel Journal); Watercolour Artist (USA); Leisure Painter (2012); and Artists and Illustrators Magazine (2013). She is currently Chairman of Bournemouth Arts Club, a meeting point for Artists in the region which regularly holds selected Exhibitions. Subjects: Landscape, Interiors, Still Life, Figurative. Style: Representational. Felicity has a lightness of touch that can only come from years of drawing practise. I especially like her interiors. Navigation: Nice clean, uncluttered website. Main Menu remains accessible. Gallery: Still Life; Places; Drawings; Interiors; Figures; Sketchbook. Image View: Thumbnails open in Flashplayer when clicked. Download is not possible. Information is provided on title and medium but not on dimension, except for images in the Studio Sales page. Bio: Danielle Richard was born in Quebec, Canada. After a college degree in Fine Arts, Cegep Ste-Foy, 1975 she earned a Bachelor's degree in Visual Arts from Université Laval in 1980. She had her first solo exhibition in 1975 and has had numerous solo and group shows since then. Her work is to be found in private collections, but also in numerous corporate collections including the Royal Bank of Canada, Reader’s Digest and Dupont. In 2012 Danielle was elected an honorary member of the Institut Des Arts Figuratifs (the Institute of Figurative Arts). 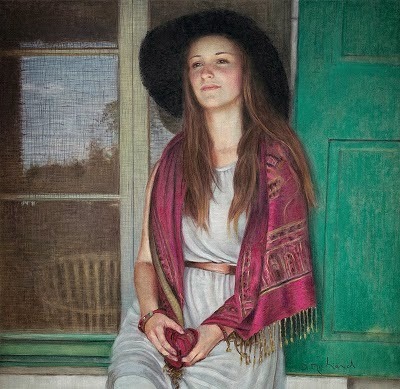 She is a Signature Member of the Pastel Society of Eastern Canada (PSEC); and is a member of the International Guild of Realism (IGOR) and the Portrait Society of America (PSOA). Danielle’s most recent awards include 1st Prize (Horace Champagne Prize) at the International juried exhibition of the Pastel Society of Eastern Canada, '' LES PASTELLISTES'', in 2013. Danielle was also the winner of the first BoldBrush Award in June 2013; her pastel, Quelque Part, was chosen by Carol Marine from 1280 entries. The award is sponsored by FASO (Fine Art Studio Online). Danielle’s work made the cover and was featured in the French art magazine, Pratique des Arts, hors-série pastel 2013. She was also featured in International Artist Magazine, no 87. Navigation: Although in French, this website is easy to navigate. Main menu remains available on top of page. Image View: Thumbnails run along bottom of page and open in a viewer on the same page; you can scroll through the enlarged images, and they may be saved. Information on the images is not provided - although Quelque Part is 19 ins square. The Pastel Journal is the only magazine with a regular publication date that deals exclusively with painting in pastel. The early issues of International Artist were similarly occupied, but soon abandoned that policy to embrace all media. I have been fortunate to find a sympathetic editor in Anne Hevener, and I have published a number of articles in the Pastel Journal, featuring Vicente Romero, Victor Richardson and Peter Thomas respectively. If you go to the trouble of looking them up on this blog, you will find the linked pdf documents. Bio: What an artist to start the New Year with! Zaria Forman grew up in Piermont, New York, half an hour north of New York City. She went to Green Meadow Waldorf school from 6th grade through high school which she describes as a very small school with an alternative approach to education, in which art is greatly infused. She received her Bachelor of Science in Studio Arts in 2005, at Skidmore College, Saratoga. Since then her work has received a lot of attention in the art world with many articles and critiques in the press; and solo and group shows nation-wide; and a presence in museum and private collections. She has had solo exhibitions the Case Gallery, Saratoga Springs in 2005; Bunburry’s Art Gallery, Piermont, NY and the Allen Sheppard Gallery, NY in 2006; and her 2008 exhibitions Arctic Light: Recent Drawings, in the Allen Sheppard Gallery, NY. She is currently represented by DFN Gallery in New York, the David Floria Gallery in Aspen, Colorado and the Winston Wachter Gallery in Seattle, Washington State. Forman states that the inspiration for her drawings began in early childhood when she traveled with her family throughout some of the world's most remote landscapes, which were the subject of her mother's fine art photography. Her mother, Rena Bass Forman, dedicated her life to photographing the most remote regions of the earth. The cold and isolated landscape of the Arctic consumed her interest for over ten years. Her work from her Arctic trips have been compared to 19th century photographers John L. Dunmore and George Critcherson who were on American painter William Bradford’s 1869 expedition. 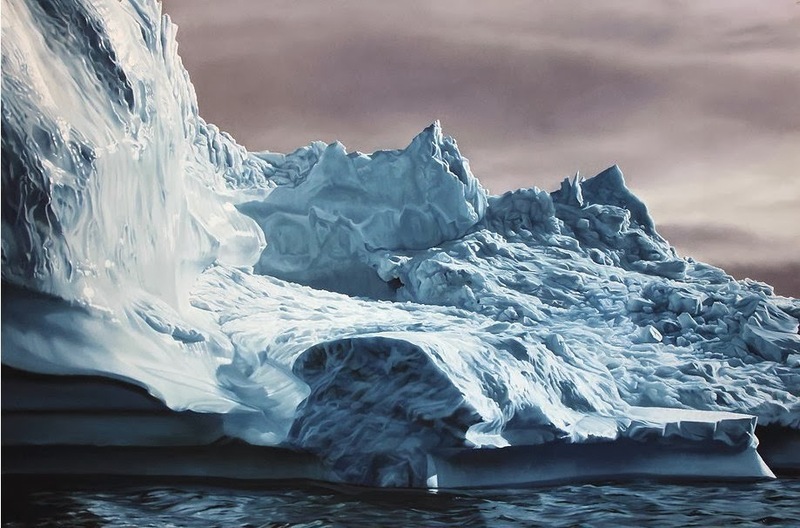 In August 2012 Zaria Forman led Chasing the Light, an art expedition sailing up the northwest coast of Greenland, retracing Bradford’s 1869 journey and artistically documenting the rapidly changing arctic landscape. In addition to exhibitions, recent projects of Forman’s include a series of set design drawings for the ballet Giselle, which premiered in October 2012 at the Grand Theatre of Geneva, Switzerland (see the Giselle page) Ten of her drawings were also used in the set design for House of Cards, a Netflix TV series directed by David Fincher and starring Kevin Spacey. Continuing to address climate change in her work, Forman spent September 2013 in the Maldives, the lowest-lying country in the world, and almost certainly the most vulnerable to rising sea levels. Navigation: This website is easy to navigate. Main menu remains available on top of page. Gallery: Drawings: The Maldives; Greenland 2012; Giselle; Nosara; Svalbard; Israel; Thompson Lake; Greenland 2006; Storms.